For nearly a decade, Tantrum Desire has been a headline feature of Technique Recordings’ roster. That’s a big thing to achieve, and an even bigger thing to maintain.. The combination of earth-scorching deejay sets across the globe, a constant stream of rave-wrecking productions, and a forensic attention to musicality and production levels have made TD an unstoppable force. Now, they’re back with a four-track EP to show that there’s a lot more left in the tank, and this is our first taste of what it has to offer. 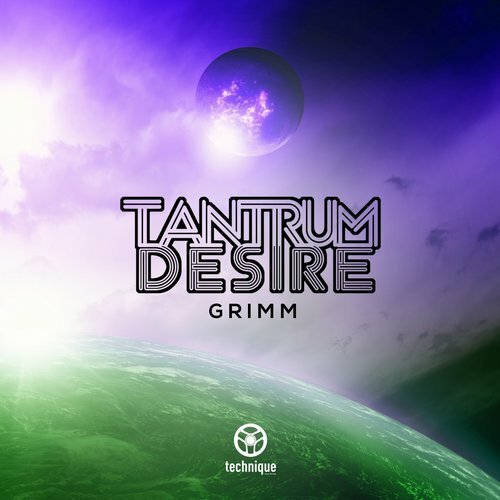 From the first symphonic, reverberant notes of “Grimm”, it’s clear that Tantrum Desire isn’t playing around. As classical orchestration blends with synthetic melodies, we’re placed in a three-sixty panoramic landscape, with tension and anticipation turned up to maximum. This isn’t just an exercise in production mastery, it’s also a demonstration of musical arrangement which leaves us in no doubt we’re witnessing expertise in action. And then there’s that bassline. The octave-switching portamento power that leads us into the drop is going to be an irresistible call to the dancefloor. Layers of percussion filter and rise until we’re thrown straight into the centre of a riot. Molotov basslines hit baseball bat beats, and it’s carnage. The contrast between the composition of the intro and breakdown with the pounding drive of the drops shows the yin and yang of Tantrum Desire’s sound, and the two sides come together into a beast of a tune. So, in one track, Tantrum Desire has, once again, proven capable of displaying prowess as both composer and party-hyper. This is one for producers to study and unravel, as much as it is for ravers to go crazy to. It’s big, and it’s only the first little slice of the EP, so better watch out.